Here one tip I want to share with you all. How I make tomato puree is, select nice red colored ripe tomato, boil water in a big pan and make a cross slit on the top of the tomato, and drop them in to the boiling water and leave for 5- 7 min. then remove the skin and chop tomatoes. Now in a other pan take these chopped tomatoes with 2 bay leaves and a small piece of nutmeg and few mace pieces and 2 cardamoms and cook for 2-3 min. Then remove from the heat let it cool, and grind in to a smooth paste and strain through a strainer. Store this tomato puree in a clean bottle in the fridge. This tastes good till 1 week then again make and store. This tomato puree is very help full in making paneer makhani like dishes and non vegetarian dishes also. 1. peel, wash and cut onion in to cubes, and cook till soft in little water (cook in 1 cup water, and strain the water and leave a side. This water you can use in the gravy). Cool and grind in to a smooth paste. 2. dry roast Kasuri Methi and crush with your hand and leave a side. 3. If you are using the paneer loaf then cut into cubes and fry them in ghee and soak paneer in salted hot water for 1/2 hour, to keep paneer soft and tasty. 4. Now heat butter in a pan and add onion paste and fry till light brown color. Then add ginger garlic paste and stir for a min. 5. Then add all powder masalas like turmeric powder, red chili powder, coriander and cumin powder, garam masala powder and mix well then add cashew nut paste and tomato puree, salt to taste and cook till butter leaves from the sides of the pan. 5. Now add paneer cubes mix well and add cream and kasuri methi mix well and cook for 2 more min. and remove from the heat. 6. Garnish with chopped coriander and serve. Serve with Naan or tandoori roti and lassi. You can make the same recipe with chicken also. mouthwatering gravy... just pass the entire container. i will finish it. Rekha, wat a creamy and rich paneer makhani...terrific colour, makes me hungry! Look at the colour...very tempting..
Iam on my way......Makes me drool. What a appetizing color....Yummyyyyy. Love paneer butter masala. our preparation looks very very delicious! With Cream and Cashew Paste, It look's so Great! You rule with Paneer Dishe's!! 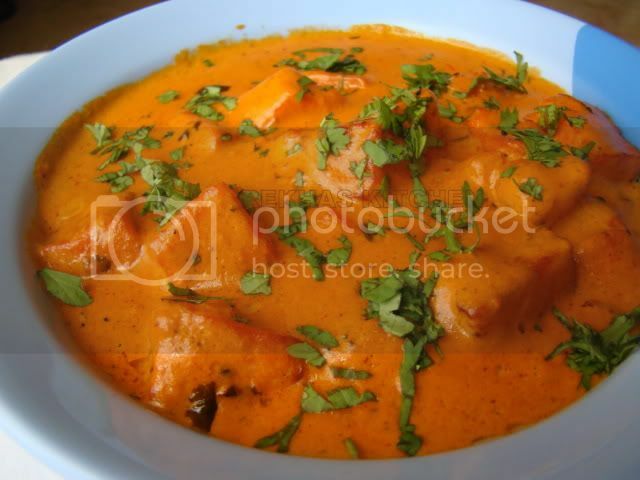 This is the perfect rich n creamy paneer butter masala..The color is lovely..
Paneer makhani is very tempting! Lovely colour! Absolutely delicious...ur pics r making me drool Rekha....beautiful color. Very nice recipe, gravy looks rich and creamy. looks like ur also a paneer lover. Lovely dish. I used to have a paneer makhani just like this in a restaurant in Chennai. Urs look very silky and rich .. yummy. Nice tips on puree and masal powder. Stunning! Absolutely gorgeous. One of my favorite dishes and your version has my mouth watering. I must make this again soon. Wow that looks rich and colorful. Good one. Looks very delicious...feel like stealing from the screen....so yummy. wow absolutely love the color of the gravy....just right.so creamy and rice and super yummy. hmm!! !Colourful dish...will try this..look so delicious..
Wow.. what a nice colour! Looks perfect and lovely! Yummy dish! awesome Rekha..Iam ready to eat waah waah where is it!!!!!! 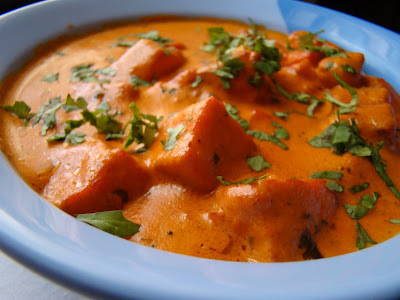 Hi, I am new to blogging, went through your recipe of Paneer Makhani.Wonderful color, just like the way they would serve at a Restaurant.Today is Friday and am a vegetarian, tells me go home and cook this one. This looks absolutely incredible!! I could eat that entire plate! I was browsing for this recipe and i found your recipe. Your recipe looks perfect with perfect ingredients! I'll be trying it soon. hi Rekha, I tried your recipe for Paneer Makhani. My guests loved it and so did my husband. Thanks for sharing such a wonderful recipe. I have become a fan of your blog site. 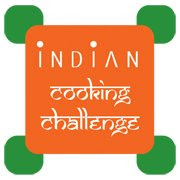 Rekha...how many people does this recipe serve? Looks super-awesome. I've become a fan of your blog now :-) Lovely recipes. Made this for dinner tonight with roti, and let's just say yummo! It tasted even better than restaurant Paneer Makhani! My sauce was not quite as smooth as the picture however, any tips? Thanks so much.... it was yum! Hi Miss jess First thank you so much for trying this recipe. It is a hit in my guest and my friends circle too I am very glad that your guest like this. Yes regarding the greavy texture did you griend the onions and tomato? then only you get the smooth texture. OkIf you sitll didn't get he texture like in my pic. Grind the gravy once again before you add paneer pieces and bring back the gravy to pan and cook till you get a full boil then add paneer.Here if you feel that gravy is thick can add some water or 1/2 cup milk to your gravy but keep stirring when you add milk.And dont take back your hand while adding creame that is the main taste maker of this curry. Hope you got it now enjoy cooking. Wow! It looks so mouth watering. I wish I could be in India. I always miss Indian food.